Richard "Biff" Williams, founding dean of the College of Nursing, Health and Human Services at Indiana State University, has been selected as the university's next provost and vice president of academic affairs, President Dan Bradley announced today. "Biff has both the experience and the temperament to be exactly the kind of Provost that Indiana State needs now and into the future. I am looking forward to working with him, and I know he will be a great asset in advancing our strategic plan," Bradley said. Bradley praised the search committee, led by Vice President Diann McKee, for identifying a strong pool of finalists for the position. The committee was assisted by the Parker Executive Search firm. In a letter to campus, Bradley identified four primary criteria he used to make the selection: The ability to quickly advance the goals of the university's strategic plan, the ability to develop and build relationships inside and outside the institution, the ability to work with the leadership of the university and the entire campus community in a collegial manner while also challenging ideas as needed, and an understanding of the outside forces impacting the university that are driving the need to operate differently while also preserving things from the past that are important to the university. "I am really excited to take on this new role at Indiana State and have the opportunity to advocate for our faculty, staff, and students on a larger scale," Williams said. "When I look at what the university has accomplished in the last five years under the leadership of President Bradley, I think it is nothing short of miraculous. I believe in the university's strategic plan, and feel that there are many opportunities and potential for future growth and development." Williams received a bachelor's degree from Weber State University in Utah, a master of science in athletic training from Indiana State, and a Ph.D. in curriculum and instruction from New Mexico State University. Prior to being named dean at Indiana State in 2008, he served for 10 years in numerous capacities at the University of Northern Iowa, including associate dean of the College of Education and founding chair of the Division of Athletic Training where he developed three athletic training education programs at the undergraduate and graduate level. He has also served as a high school teacher and head athletic trainer in Texas and as a co-head athletic trainer at Sullivan High School while in graduate school at Indiana State. He has published numerous articles, manuscripts and abstracts, has presented at national conferences and garnered several external grants. 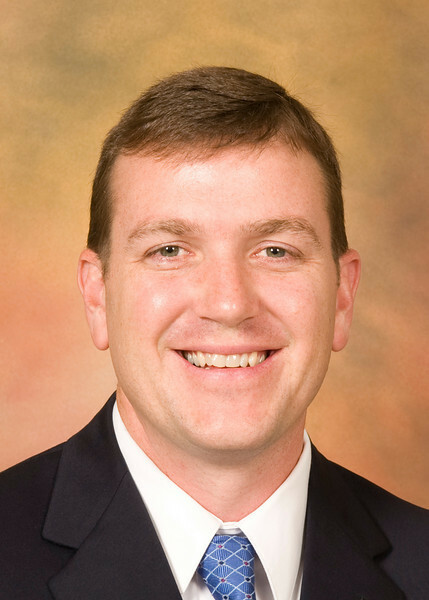 Williams has served in several leadership positions within the National Athletic Trainers Association, and in many state leadership roles related to health care and education. Williams co-chaired the strategic steering committee for the State of Indiana Healthy Indiana Plan 2020, is on the Indiana Area Health Education Center Advisory Board and serves as a member of the Indiana Health Centers Inc. ad hoc committee on Workforce Recruitment and Retention. Locally, he serves on the board of the Rural Health Innovation Collaborative (RHIC), Hospice VNA of the Wabash Valley and Better Health Wabash Valley. At Indiana State, Williams has led the development of six new degree programs designed to address the state's critical shortage of healthcare workers. He has also helped advance the Rural Health Innovation Collaborative including serving as its interim executive director for a portion of the last year. RHIC was created to improve and expand inter-professional education, training, and deployment of future health care providers, particularly in rural areas. The partnership of health care organizations, higher education institutions and local economic development and government is also designed to serve as an economic engine for west-central Indiana through the creation of health care-related jobs and neighborhood revitalization. Williams said he and his wife, Kristin, are pleased to be able to remain in Terre Haute and raise their five children in this community. "Terre Haute is a great place to raise a family, and we have been very pleased with the education our children are receiving from the Vigo County School Corporation, and the many opportunities they have had," said Williams. Williams will begin his new duties on July 1. A national search for a new dean of the College of Nursing, Health and Human Services will begin immediately. Richard "Biff" Williams, founding dean of the College of Nursing, Health, and Human Services, has been selected as the university's next provost and vice president for academic affairs.